General Motors India is all set to re-launch their most popular Sports Utility Vehicle, Chevrolet Captiva SUV in the Indian auto market by the next month. The new Captiva facelift was displayed at the Auto Expo in January 2012. 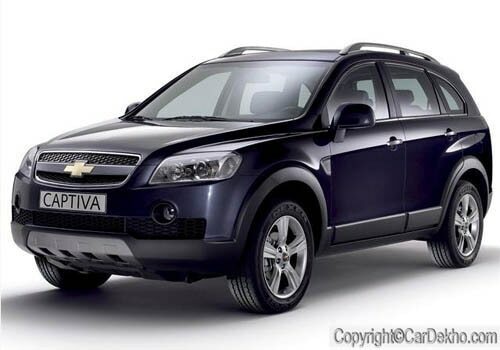 As per some media reports, the new Chevrolet Captiva will go on sale by the end of current fiscal year. GM India at present sells Chevrolet Captiva with 2.0-litre diesel engine car as an imported completely built unit (CBU) from General Motor’s unit in South Korea. The new Captiva facelift will have a new, more powerful 2.2-litre diesel engine that will produce maximum power and torque. The Chevrolet Captiva price ranges between Rs. 18.48 lakh and Rs. 20.2 lakh (Ex-showroom, New Delhi). The new model will be launched with expensive price tag at Rs. 20 to Rs 22 lakh. The auto giant is currently selling about 100 units of the Chevrolet Captiva every month. General Motors will also hope to increase the number of sales of new Chevrolet Captiva facelift in the country auto market. The new car also fitted with advanced attributes such as aggressive exterior with a broader front grille and improved interiors. The existing model of Captiva is available with three stunning variants such as Chevrolet Captiva LT, Chevrolet Captiva XTREME and Chevrolet Captiva LTZ VCDi. Chevrolet Motors is selling wide range of cars in India - Chevrolet Aveo, Chevrolet Aveo U-VA, Chevrolet Beat, Chevrolet Cruze, Chevrolet Optra Magnum, Chevrolet Spark, Chevrolet Tavera and Chevrolet Tavera Neo. Out of which, Chevrolet Beat Diesel is getting overwhelming response from the Indian auto market. General Motors India is also looking forward to launch the right-hand drive version of its Chevrolet Camaro luxury car in India. It is speculated that the top version of Camaro is expected to be available with right-hand drive option in India.